Feel like you are in jungle with cute & giant animals and relax your mind with mind blowing & amazing Animal voices. 150+ Animal sounds with awesome picture, having great fun and education for all age people especially for Kids learning, education and enjoyment. 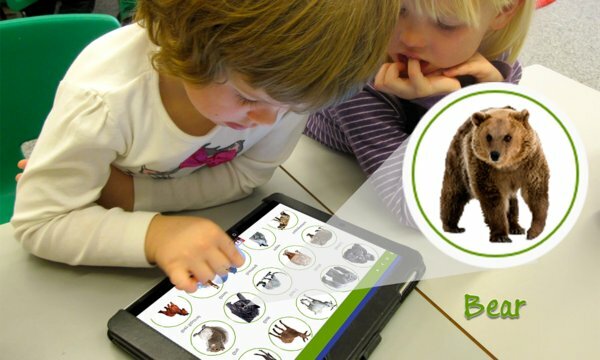 This app is both fun and educational, because you can learn how to discern the sounds of each kind of animal. Set some of them as a ringtone, notification sound or alarm and you will never bother yourself with the irritating sounds you already have in your mobile phone. - Play individual sound and enjoy! - Have more options and great fun. Rate this App 5 ★★★★★ to bring more awesome and amazing Animal Sounds for you. 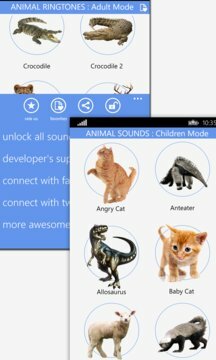 This app has great photos of various animals along with their sounds. Very cool and cute. Enjoy!